Why borrow someone else's sensory kit when you are out and about with your family or friends? 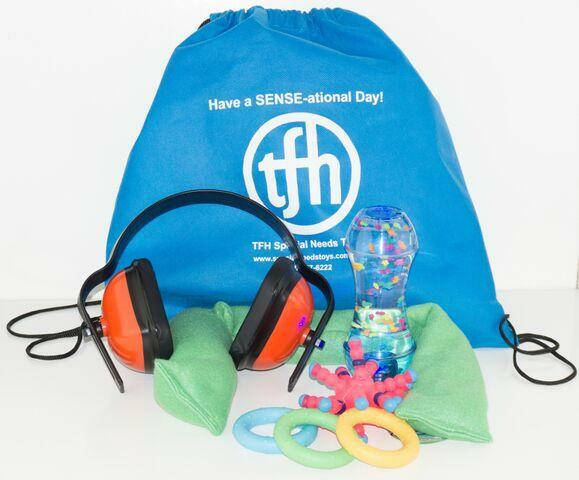 Take this handy one along with you and you will never be without the sensory input you need in any situation This bag includes: Hearing Safe Noise Protectors, Light Up Aquarium, Squeezers - Set of 3, Weighty Snake (2 lb. ) Atom Ball and Drawstring Bag. Also provides proprioceptive input as the bag with contents weighs 3 lb.